This year 189843 candidates are appearing for SSC CGL Tier 2 exam. Apart from this single centre at Delhi, exams in the rest 206 centres have been conducted smoothly states the Commission.As of now, for the remaining days of the exam there will be no change in the exam schedule. 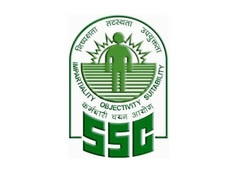 Staff Selection Commission (SSC) has decided to cancel the second shift of the ongoing SSC CGL Tier 2 exam after malpractices has been reported at an exam centre in New Delhi. Paper chits with answers were found in the toilet of the venue having and the incident came to light after the completion of Quantitative Aptitude paper. Further representative of the Commission who went there to confirm the fact was manhandled by few candidates. In the wake of these happenings, Staff Selection Commission (SSC) decided to cancel the second shift of the exam in that venue. On 17 February 2018, on the first day of CGL Tier 2 exam, SSC had to cancel the second shift exam at one venue namely Animate Infotech, Mohan Cooperative Industrial Estate, New Delhi on the basis of prime facie evidence. The Commission will not conduct further examination for the batch. 'The Commission immediately swung into action and established contact with the Police to ascertain the facts of the case. Prima-facie evidence clearly indicates that the entire episode was created by some unruly elements, with a malafide intention, to try to disrupt the examination. In the meantime, based on video footage of the incident available with the Commission, stringent action will be taken against those candidates who were actively involved in disrupting the said examination,' said the Controller of Examinations, SSC. A total of 189843 candidates are appearing for SSC CGL Tier 2 exam, this year. Apart from this single centre, exams in the rest 206 centres have been conducted smoothly states the Commission. As of now, for the remaining days of the exam there will be no change in the exam schedule.